I enjoy getting challenging dinner reservations, then making the trip happen around it. At three months, this is the furthest out I’ve had to book. At 4am(my time)/10am(Copenhagen time), I logged into Noma’s website. I was 550th in line. It took a little patience during the 45 minute wait, but I was easily able to secure a time/date once my turn arrived. The day of, we ran around Copenhagen, boating, eating, drinking, and exploring the anarcho freetown -within the town- Christiania. 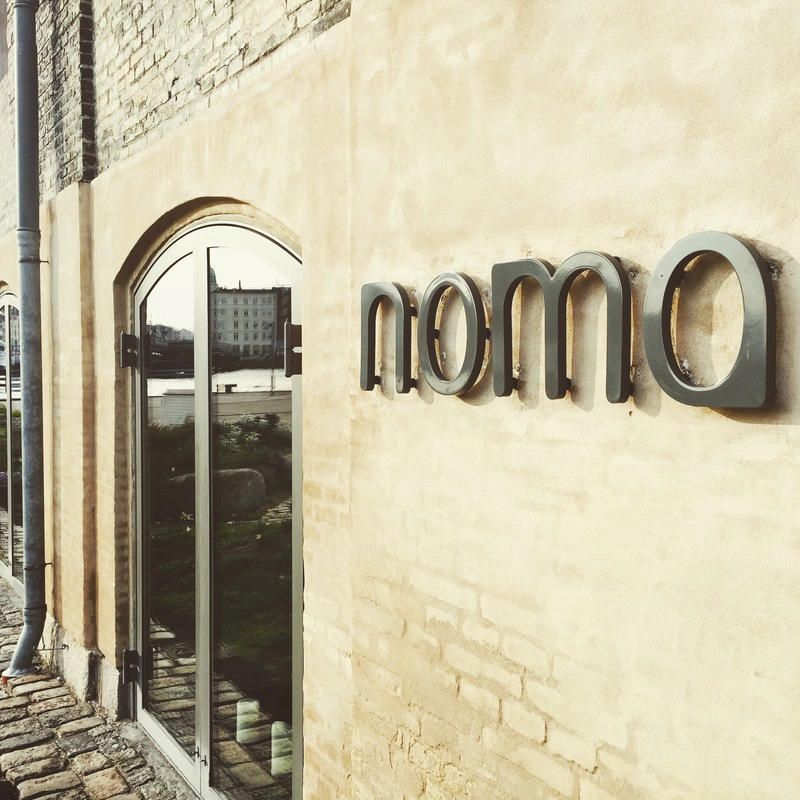 As our reservation time drew near, we made the short walk over to Noma in Christianshavn. Upon arrival, our party of eight were greeted by almost the entire staff, all lined up at the entryway. They greeted us by name, shook our hands, and guided us to our table/dining room. The service was absolute perfection. With no sense of stuffiness, or what I call the “John Hughes Effect” of mythic ’80s fine dining pretentiousness. Everyone was down-to-earth, and very professional. There’s a staff member in charge of each table. They anticipate needs, making everyone comfortable, while explaining each plate as it’s served. Anyone needing to visit the restroom, is escorted by a staff member. Casual conversation follows while en route. I know it sounds a bit weird, but it was comfortable at all times. Our dinner lasted about three hours, followed by Coffee & Aquavit in the bar for an hour, then a full tour of the facility. Including the kitchen proper, the fermentation labs, and test kitchen, ending with the prep area. To start each day, the interns(which match the number of paid employees), prepare a meal for the entire staff. This kind of trial by fire should ensure that a chef’s ego from a life previous to Noma, is nullified. All told, this is probably the best five hours of dining one could ever spend. It’s been called the best restaurant in the world, and you’ll hear no objection from me. I do think it’s silly that it’s only 2 Michelin starred. It really doesn’t get better than this. Noma is also very mobile. In early 2015, they packed up the staff and moved to Japan for a couple of months, only utilizing foods found in the new locale. They ran into several challenges from a Work Visa perspective, but were ultimately victorious. The next move will occur in early 2016, taking them to Australia for approximately 10 weeks. A new offshoot of Noma, a pop up restaurant in Copenhagen called 108, will be opening in 2016. Featuring a much lower price point, and actual walk-in availability. Additionally, Noma will be permanently moving to a new building in 2017, which will include a farm and a full-time farmer. Exciting things to come, for sure. New Danish potato and in seaweed wrap, baked atop salt and yeast. Skinless Sweet peas, halved, with sliced kelp in a two day mushroom marinade. Milk curd underneath. Seaweed tarts, with assorted flowers. Sweet raw shrimp ravioli, in ramson leaves. White asparagus with elder flower, barley sauce. Forest flavors: Chocolate dipped flowers, clover leafs, and a Chocolate moss petit four. Egg Nog. With hand carved, wooden stave ‘Corks’.